Our 9-year-old daughter, Quinn, finished her cancer treatment a year ago. My husband and I are excited to attend her class assembly at school. Back to some normality. Familiar ground. Our comfort zone. We stroll through the school grounds together, holding hands like sweethearts and enjoying the mild sun of early summer. Other parents smile and wave with promises of a catch up afterwards. We take our seats at the rear of the hall in happy, amicable silence as the school children start to pour in. The innocent, healthy, able-bodied children. 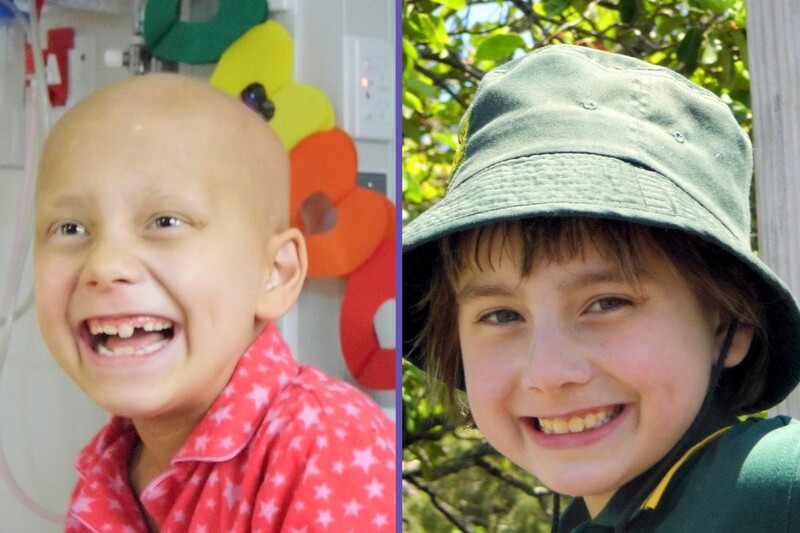 The cancer-free, innocent, healthy, able-bodied children. I can feel the beating of my heart as it revs up a notch. My breathing takes the cue and starts to compete for speed. A single bloated tear rolls languidly down my cheek. I discretely slip my sunglasses on and accidentally activate the free flow tear control. My heart continues to pulse at a startling pace. At a glance I could appear to be in labor as I begin to pant for breath. I feel tormented by their presence, by their mere existence. A rare question spits out of my tumultuous mind with burning fury: Why my child? I can hardly breathe. It’s just short, shallow gulps. Tears drizzle down my face, and my chest burns from the staccato rhythm it has been playing. I gasp to my husband that I have to get out. Have to leave. I stumble out of the hall, leaving him in confused pursuit. He holds me in his arms, and I moan with the physical and mental agony that has been evoked. He offers to drive me home, but I tell him he can’t. Quinn would be so disappointed if we both left. I start the walk home. One foot in front of the other. Left. Right. Left. Right. I consciously take slow, deep breaths that I hold as long as possible before release. In. Hold. Out. In. Hold. Out. In. Hold. Out. I start to calm with the meditative regimentation of my stride. I lie on the bed feeling drained, depressed and embarrassed. My breathing and heart rate reaches status quo. But not my mind. Damn you, panic attack, for blindsiding me. My daughter’s cancer doesn’t end when she leaves hospital. My daughter’s cancer doesn’t end when her bald head sprouts hair. My daughter’s cancer doesn’t end when the feeding tubes are removed. Childhood cancer doesn’t end when she looks “well” again. Follow this journey on Facebook at Quinn’s Quest. Roanne Barnes Hautapu lives with her family in New Zealand. Both of her children have endured years of chronic medical issues. Her daughter, Quinn, was diagnosed in 2013 with a rare brain cancer called a primitive neuroectodermal tumor (PNET), and her son, Fletcher, has anaphylactic allergies and eczema. Their lives for the past 10 years have revolved around hospitals. You can follow Quinn’s cancer journey here.